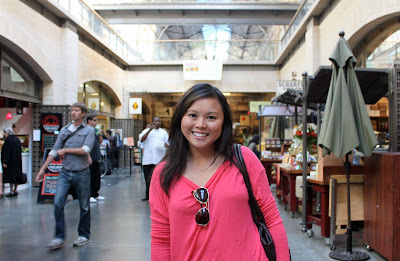 I took a wander through my favourite place in San Francisco last week, The Ferry Building Marketplace. Actually, I booked myself into a hotel across the street because I love it so much. 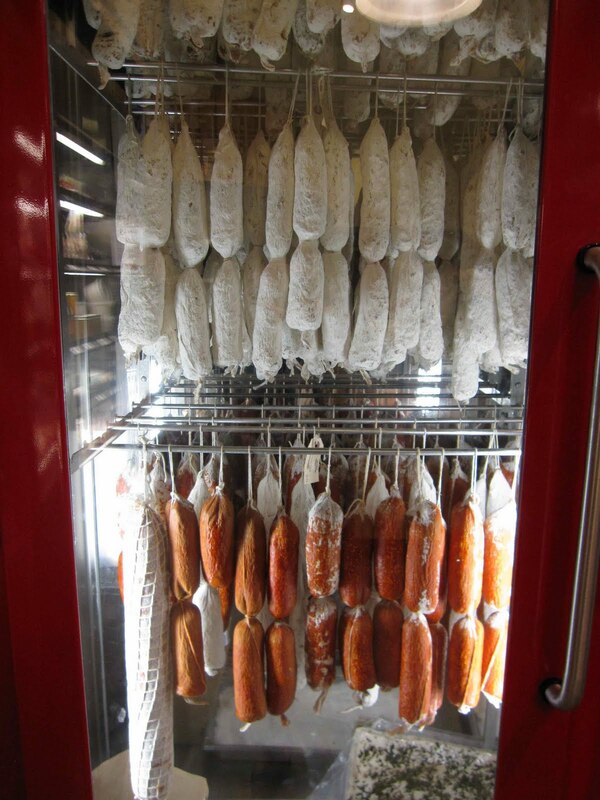 It reminds me of my neighbourhood in Toronto, The St. Lawrence Market District. 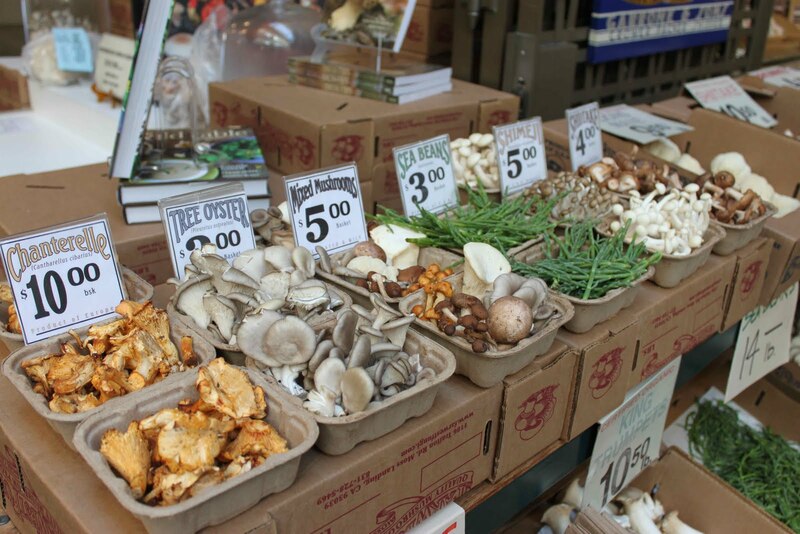 It's very similar, except The Ferry Building is more about gourmet and fancy take-away with a few restaurants scattered about. Which is great, because this trip is about affordable eats since this vacation is going to last six weeks. 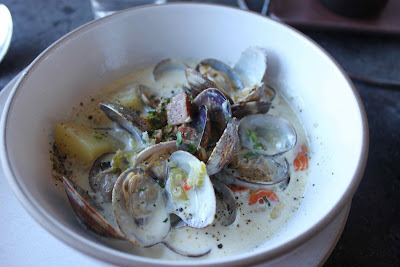 Ate the *best* bowl of Clam Chowder ($14) at The Hog Island Oyster Company. The broth is light and not thick like the New England style and filled with juicy manila clams, bacon, potatoes and cream. 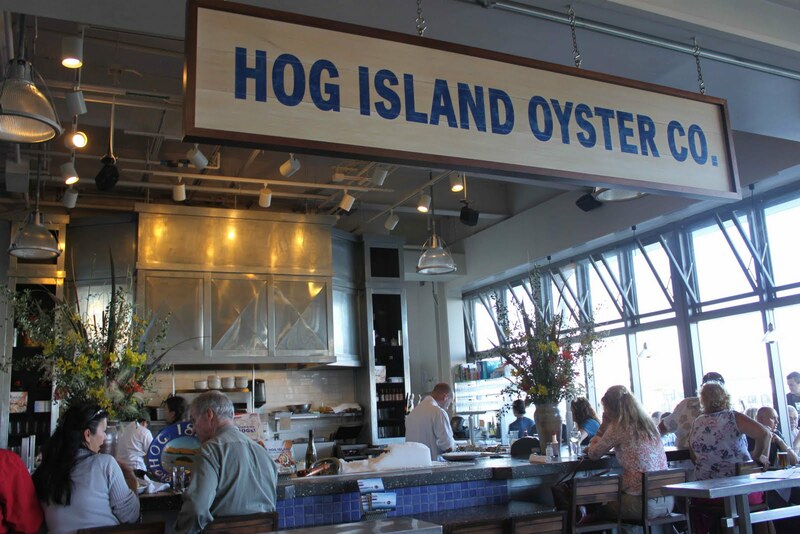 We also had a small order of the Hog Island Sweetwater Oysters (grown 45 miles outside of SF, $15 for 6), which were small in size, but flavourful nonetheless. Never too jet lagged to eat! Right off the bat we noticed the emphasis on local, organic and sustainable food on the west coast. 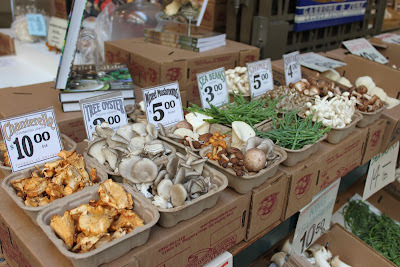 It's such a treat and I don't notice the premium for organic food here as much as I do at home. 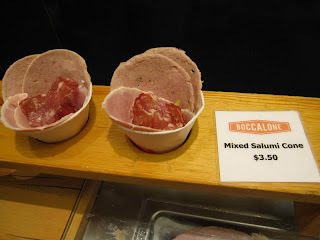 We nibbled on some Artisan Salumi fro Boccalone - Tasty Salted Pig Parts. 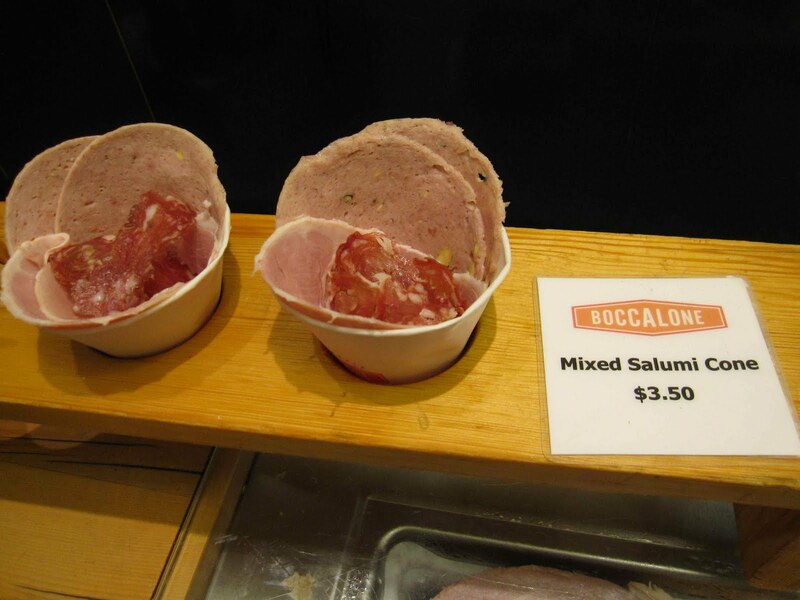 Smart idea for tourists who just want a taste - the Mixed Salumi Cone ($3.50). 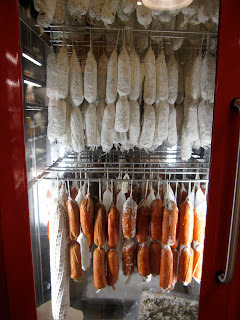 They make all their meat across the bridge and sell it in their Ferry Building Shop. Imagine eating the top off of a French Onion soup. That's EXACTLY what the Open-Faced Grilled Cheese Sandwich from Cowgirl Creamery tasted like. 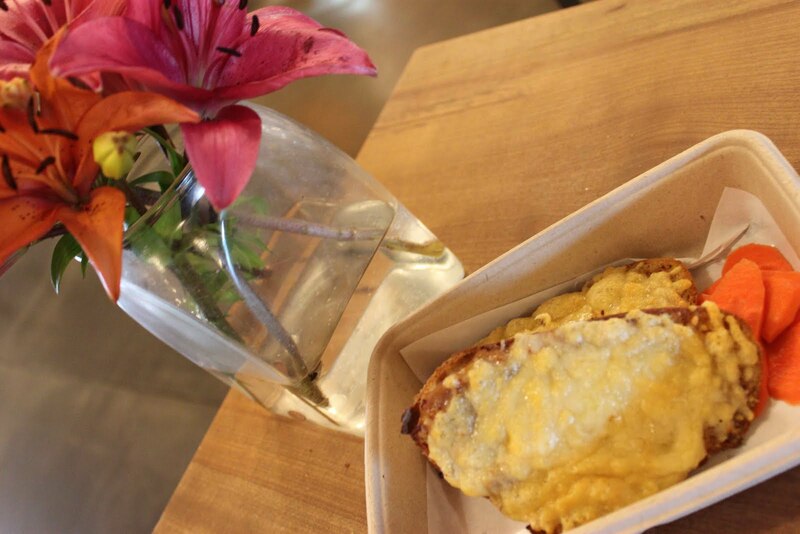 Melted Gruyere cheese over caramelized onions on a crusty baguette. The take-out counter also serves up cheese tastings with crackers and fruit. 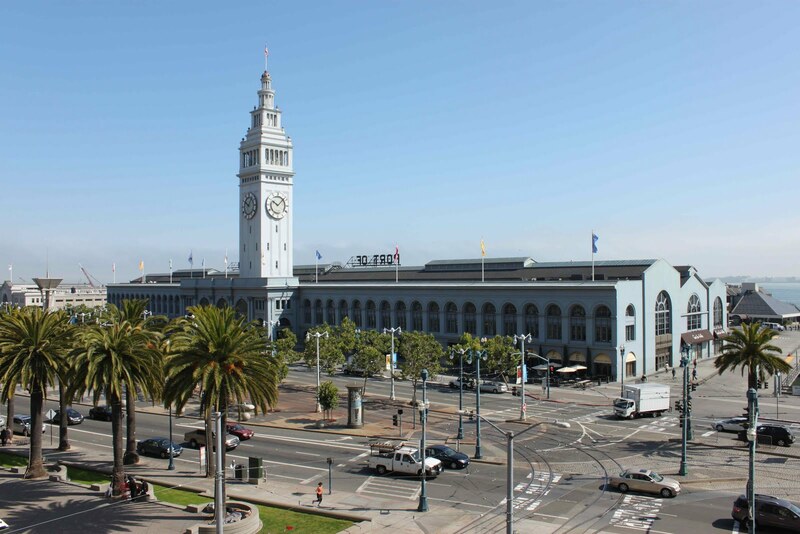 The historic Ferry Building has been around since 1898 and is still a working ferry terminal with office space occupying the second and third floors. If you're looking for a taste of San Francisco, create your own street food festival and sample all the goodies during the busy lunch hour. 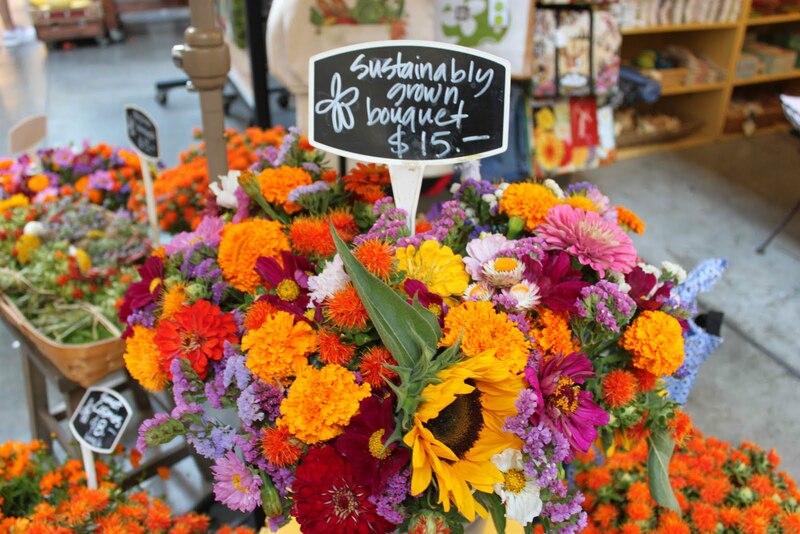 Read more about other things to do in San Francisco here! 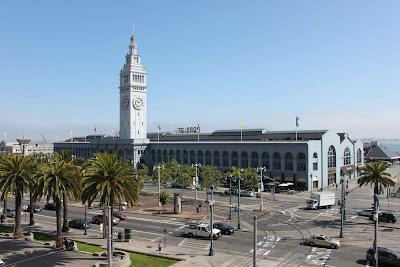 The Ferry Building was on my to-do list when I was in San Fran in November but I never made it there. 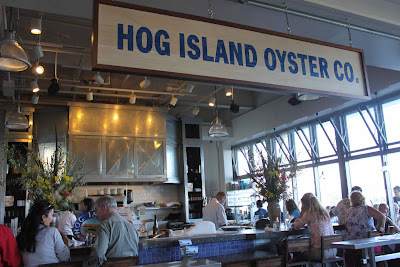 I especially wanted to try out Hog Island Oyster Company since my hubby and I love oysters. 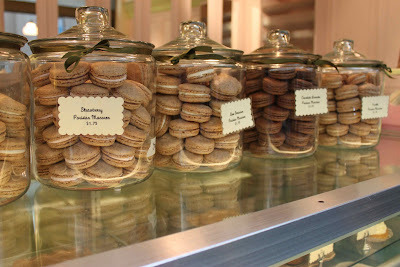 I will definitely add this too my list for next time. Wow that Clam Chowder looks so damn tasty.